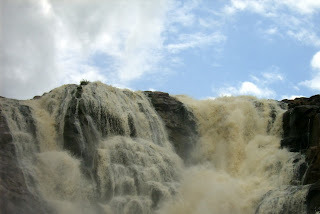 The waterfalls and the places shown in this website are natural places which are surrounded by nature and dense forests. Major content we covered about kuntala waterfalls because it gave an awesome experience for us in enjoying this place and also waterfalls near by this place. The best time to visit all the waterfalls including kuntala waterfall, is in the peak and post monsoons that means from August to December you can visit. If your are planning to visit all these places in peak monsoons then you will face difficulty in transportation because the roads will be muddy and it is not possible to go by vehicles. After monsoons roads will be clear and you can enjoy the places. Even these places can be visit any time in a year but the best time is in peak and post Monsoons.